ReSound hearing aids provide confidence in hearing the finer details. The new ReSound Linx Quattro hearing aids provide brilliant sound and inspire confidence in hearing abilities in the moments that matter most. 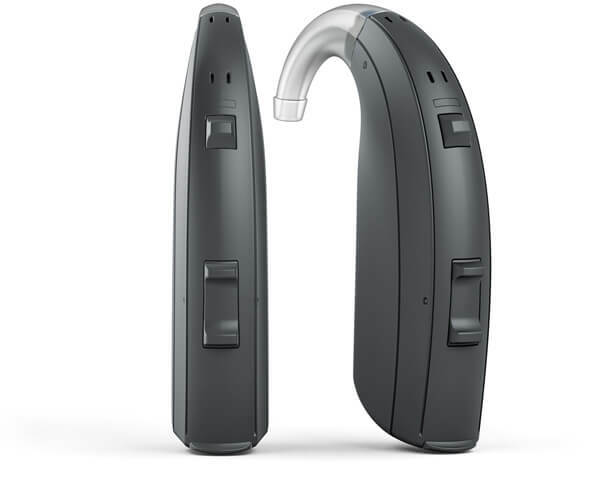 Their smart hearing aids use smart technology to help individuals with hearing loss connect to the world around them and adapt to their life and listening needs. 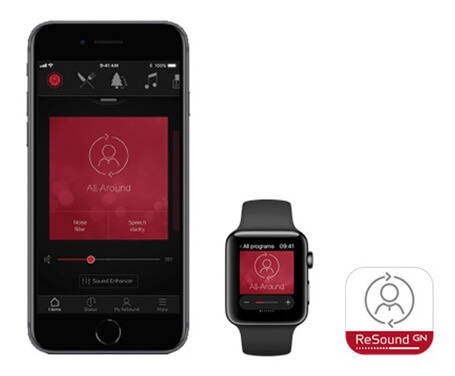 ReSound was founded in 1943 and is one of the world’s largest hearing aid manufacturers.Our Audiologists will help find a ReSound product that is right for you. At Happy Ears, we believe hearing aids AND services should be affordable to everyone. Happy Ears Hearing Center is dedicated to making hearing aids and services more affordable while maintaining the best quality hearing care. Happy Ears Hearing Center is proud to partner with ReSound to help drive that vision. ReSound also recently partnered with Cochlear to bring their great accessories to cochlear implant devices as well. ReSound LiNX Quattro is ReSound’s newest and most advanced digital hearing aid. With ReSound LiNX Quattro hearing aids you’ll be better at identifying speech in noise and be able to hear more sounds around you. You can use your hearing aids like wireless headphones. And you’ll get a brand new dimension of control over your hearing aids. 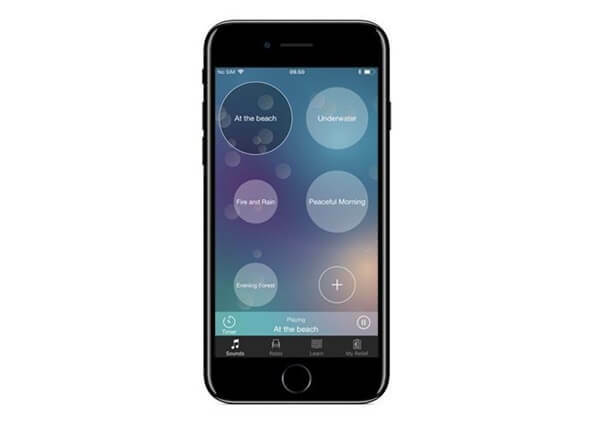 ReSound LiNX 3D custom hearing aids offer all of the same features that the receiver-in-the-canal hearing aids offer and have all of the same connectivity with smartphone apps. For individuals with severe-to-profound hearing loss, hearing aids need to provide clarity. ReSound ENZO 3D hearing aids not only deliver clarity, but they also give individuals with hearing loss a sense of directionality. The ReSound ENZO 3D is able to deliver the highest amount of amplification without feedback. Hearing loss does not have to limit your enjoyment at restaurants, college classes, get-togethers, family functions or business events. ReSound Micro Mic can help you hear sounds, even if the speaker is on the other side of the room or the other end of the table.Let your hearing aids work smarter for you! Provides the same great benefits as the Micro Mic, doubles as a table microphone, connects with loop and FM systems, and has a mini-jack input to make your hearing aids work like wireless stereo headphones and stream sound from virtually any sound source. One of the hardest things about hearing loss can be talking on the phone. Missed words and misunderstandings are frustrating on both ends of the line. 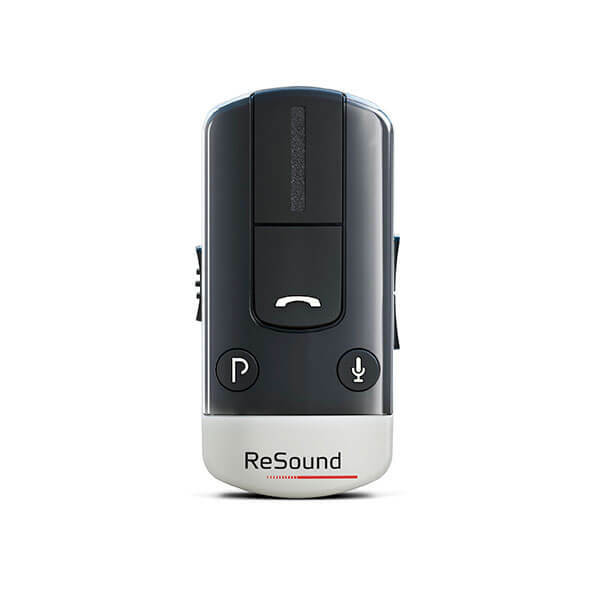 The ReSound Phone Clip+ lets you stream your phone calls and audio straight to your hearing aids from any Bluetooth-enabled mobile phone or smart phone. Enjoy your phone calls again even in noisy environments. With the ReSound TV Streamer 2, you can enjoy watching TV with your family and friends again. 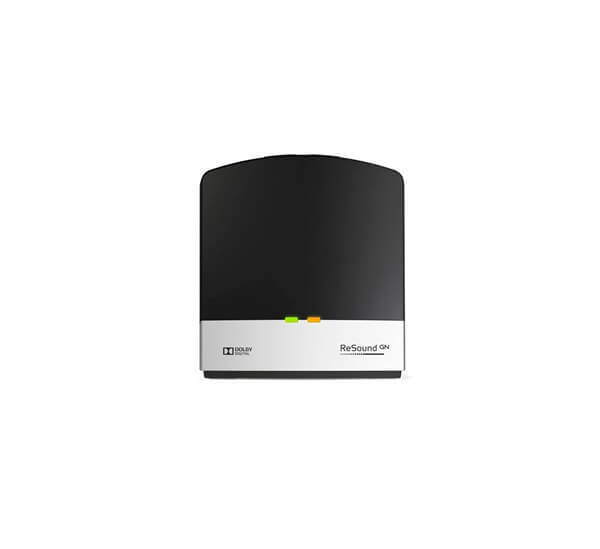 ReSound TV Streamer 2 allows you to stream crystal-clear stereo sound from the television directly to your hearing aids from up to 22 feet away. Enjoy movies and TV Shows again with your ReSound hearing aids and accessories. You might feel like you are fumbling when you use hearing aid buttons to toggle through programs and volume. 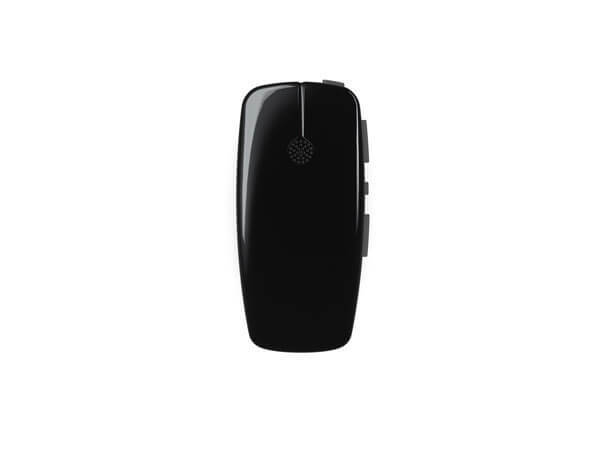 The buttons on the ReSound Remote Control 2 are larger and easy to navigate.The ReSound Remote Control 2 is discreet. It can easily be kept in your pocket or purse.